Consultants at a leading NHS Trust are using ClinicalKeyTM to meet the demands of their busy schedules and treat rare conditions. Blackpool Teaching Hospitals NHS Foundation Trust is a NHS Trust with a high patient volume, supporting more than 1.6 million people in the region. In 2016, the Trust approached Elsevier to implement ClinicalKey through its library and knowledge service, as it looked to find tools that would improve the use of evidence based best practice and, ultimately, enable their clinicians to spend more time with patients. The implementation of ClinicalKey has streamlined essential clinical information in to one place, and made it instantly available at the touch of a button, thus freeing up more consultant time to spend with patients, facilitating better, more evidence-based decision making, with reference to the latest best-practice and case studies. ClinicalKey is now used by every specialty group in the Trust, with an increase in use of over 70% in the past year. Clinicians using the tool cite time saving and improved differential diagnosis as some of the most valuable assets from ClinicalKey’s diverse collection of uses. Blackpool Teaching Hospitals NHS Foundation Trust was established on December 1st, 2007 under the National Health Service (NHS) Act 2006. The Trust is situated on the west coast of Lancashire and operates within a regional health economy catchment area that spans Lancashire and South Cumbria, supporting a population of 1.6 million. The Trust provides a range of acute services to the 330,000 population of the Fylde Coast health economy and the estimated 11 million visitors to the seaside town of Blackpool. Since 1st April 2012, the Trust also provides a wide range of community health services to the 440,000 residents of Blackpool, Fylde, Wyre and North Lancashire. In 2016 the Trust set out their five-year strategy to achieving their 2020 vision to be a high performing Trust, operating as part of an integrated care system, providing high quality, safe and effective care. In order to effectively implement these programmes, the Trust recognised that it would need to introduce strategic partnerships to support the transformation. Across the Blackpool NHS Foundation Trust, the busy clinical teams are constantly looking to find efficiencies based on the use of current best evidence that will translate into improved patient care and greater cost-effectiveness. Clinicians at the Trust were using multiple sources of information, from standard search engines to hard copy journals in the medical library. Although a Clinical Librarian Service was available to provide high quality literature searches, there was still an issue with obtaining validated, evidence based information in a timely fashion. Not all clinicians were aware of the Clinical Librarian Service and often spent precious time searching for current, credible information. That challenge was a common theme shared with the trust’s Knowledge and Library Services Manager, Debra Thornton. With the total sum of medical knowledge now expanding so quickly — doubling globally every 73 days — it is harder than ever before for clinicians to keep appraised of the latest developments in their field. Both Debra and the clinical teams were looking for a solution that delivers a broad range of clinical information that is credible, trusted, and evidence based. ClinicalKey is a clinical search engine that thinks and works the way clinicians do. By streamlining essential clinical information in one place, and making it instantly available at the touch of a button, ClinicalKey frees up more consultant time to spend with patients, and actively helps facilitate better, more evidence-based decision making, with reference to the latest best-practice and case studies. The easy access to various educational resources helps me to formulate a differential diagnosis in Histopathology and gives further leads for additional reading material. This information works to augment my own clinical decision-making skills. For Mr. Alex Blackmore, a Consultant Colorectal & General Surgeon, and Programme Director for the Foundation Year 1, ClinicalKey has proved invaluable in offering swift and contemporary evidence on rare and complex clinical conditions. He points to a patient who “presented atypically with an unusual metabolic cause for colonic pseudo-obstruction,” something that “was correctly diagnosed and treated effectively with the help of ClinicalKey.” He cites the user-friendly format, and ability to check information quickly on-the-go, on a mobile device as other key benefits of the service. ClinicalKey is helping the Trust’s Library Department with its core objectives to “raise awareness of the importance of research evidence in clinical practice, and to support research, evidence-based care and service improvement”. 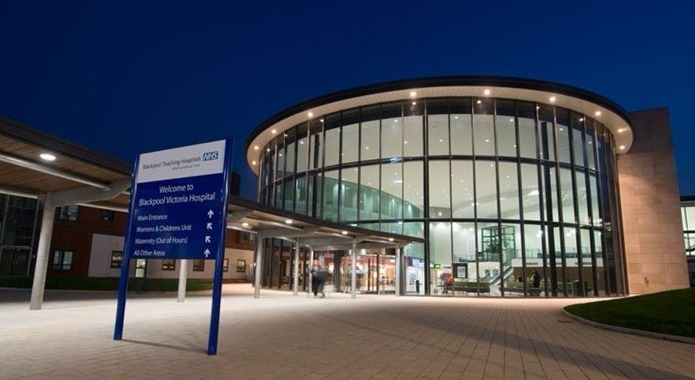 Across the Blackpool Teaching Hospitals NHS Foundation Trust, ClinicalKey is seeing widespread adoption, with overall usage increasing by over 70% in the last year. Clinicians are making use of its reach across all fields of medical practice, with three quarters of users accessing multiple content types and specialties. ClinicalKey is also helping the Trust, which has been a Teaching Hospital since 2010, build a culture of education for all clinicians, facilitating easy access, at home and in the hospital, to the full range of current, evidence-based materials. It is helping the Trust’s Library Department with its core objectives to “raise awareness of the importance of research evidence in clinical practice, and to support research, evidence-based care and service improvement,” says Debra Thornton. The Trust is now seeing efficiencies outside of the clinic, the instant access to ClinicalKey’s reference sources creating a cost-effective educational and evidence-based resource for the Trust.